Reassurance shield after the KY 2155 couplet. 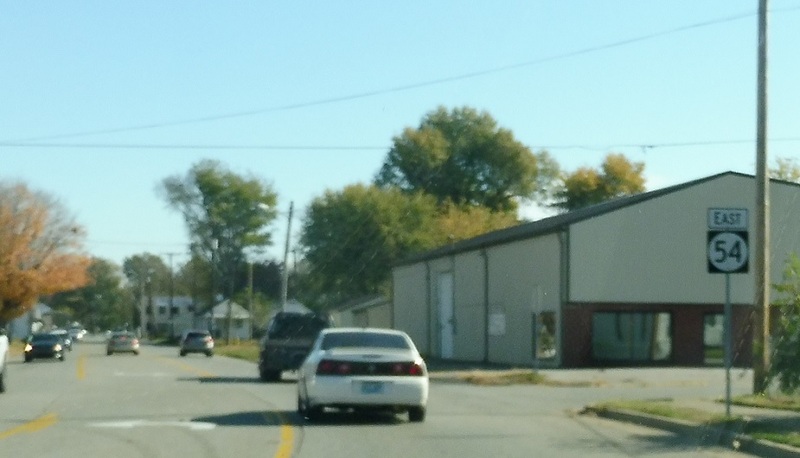 Several blocks later, we’ll approach US-60 and US-231. 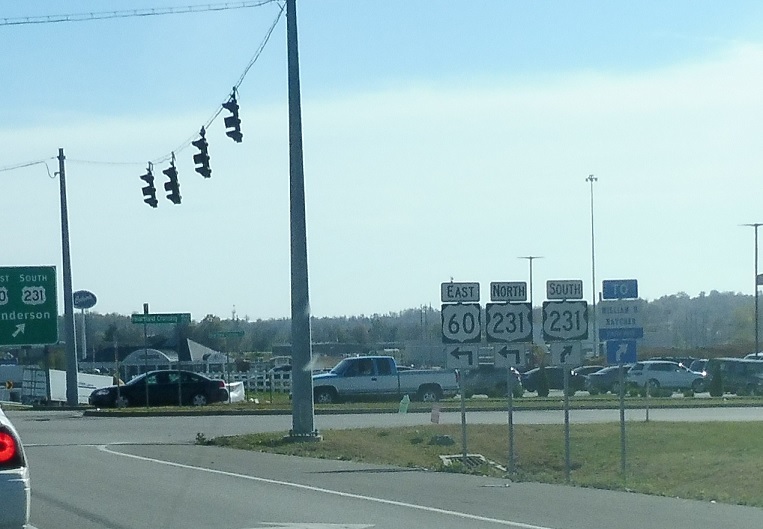 Follow those routes west and south to the Natcher Parkway. 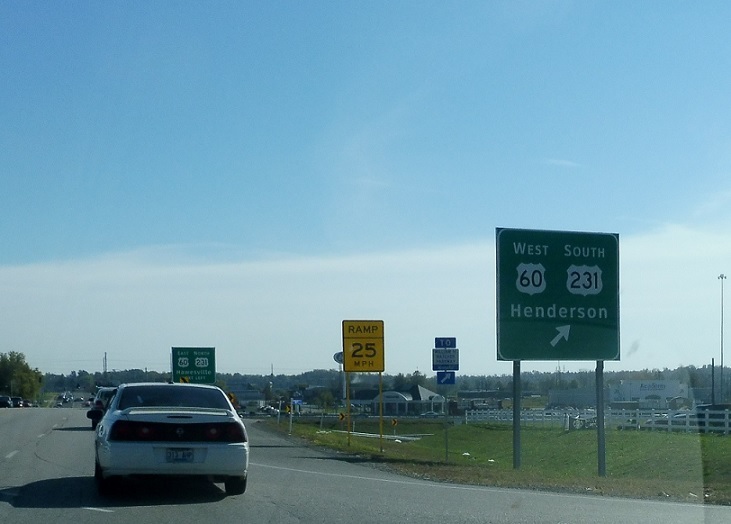 Exit right for 60 west/231 south towards Henderson. 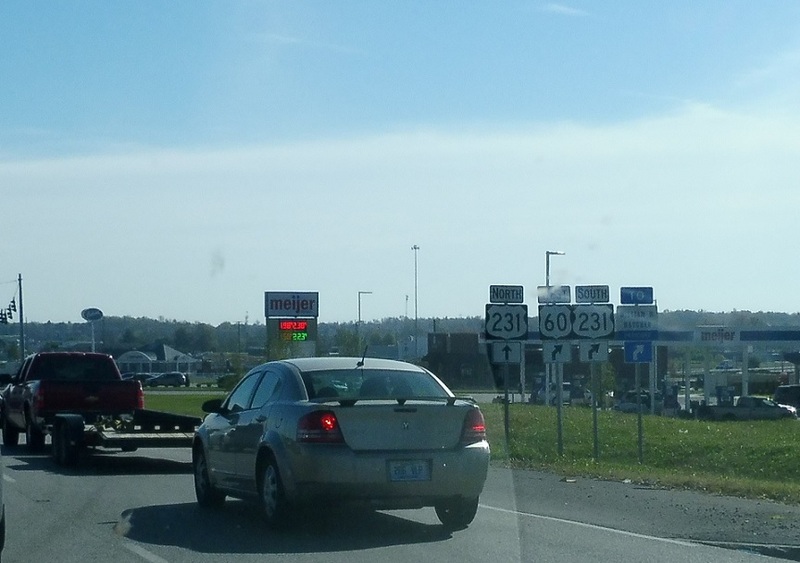 60 west/231 south also connects to the Natcher Pkwy. 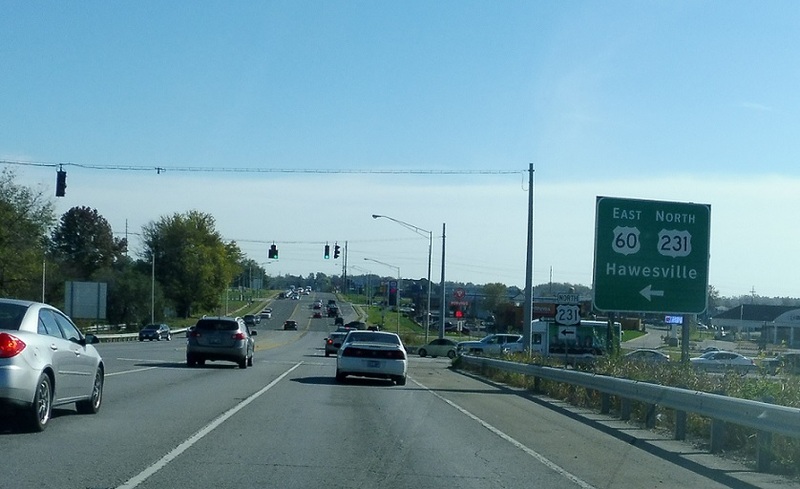 Turn left ahead for 60 east/231 north towards Hawesville. 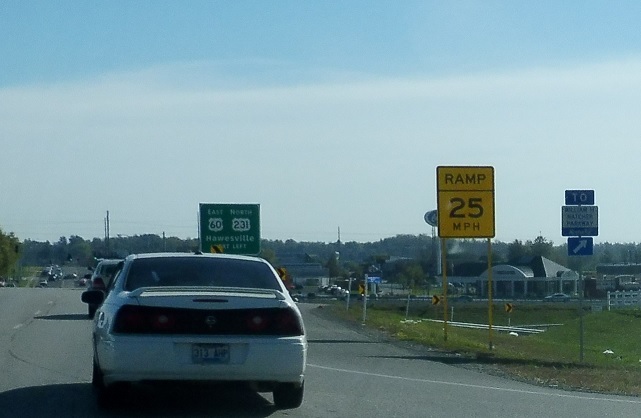 Turn left for 60 east/231 north. 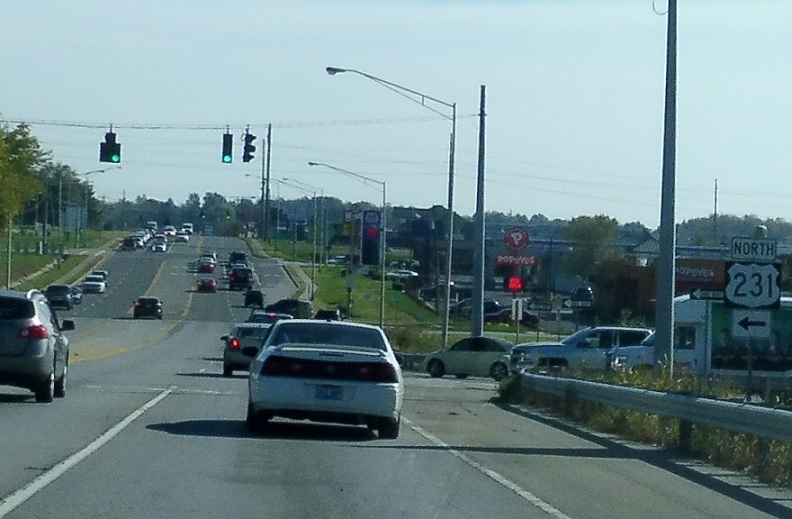 Don’t forget that you need to turn left here for US-231 north!